The Birchman Baptist Church is a multicultural and multi-congregational house of worship located in Dallas Fort Worth, Texas. 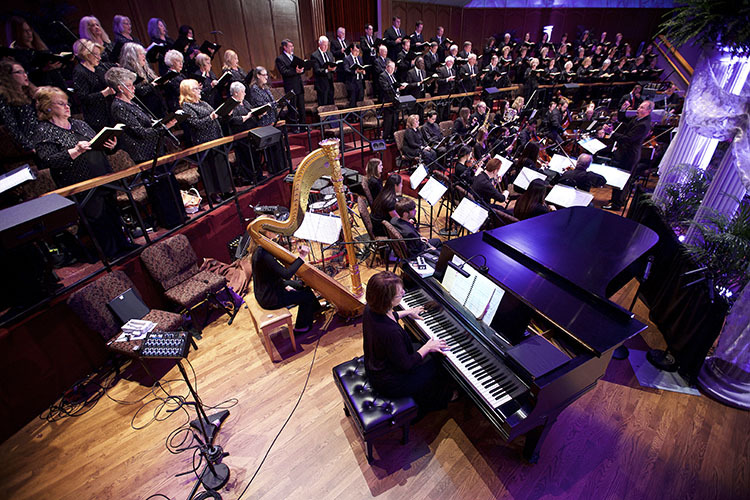 During every Sunday worship, a full instrumental combination with lead and ensemble vocalists perform, along with a grand piano and traditional organ, 30 people in orchestra, and a 200-strong choir. 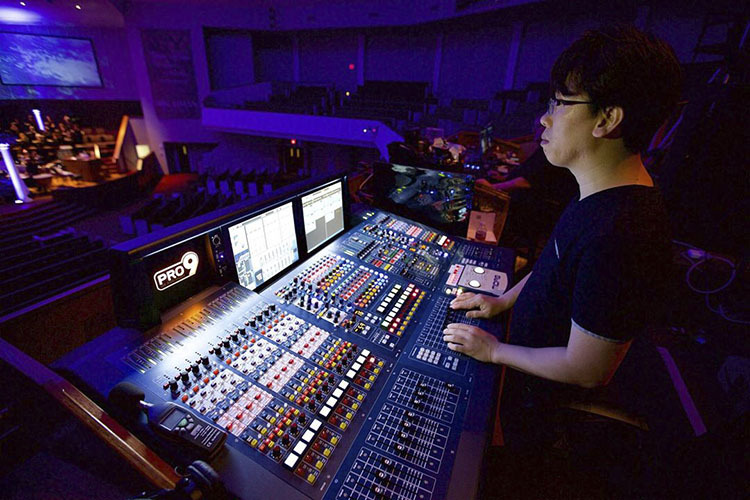 The Living Sound was hired to design and install monitor speaker system to improve the monitoring environment for the instrument players and vocalists, and to provide improved clarity for pastor’s microphone. 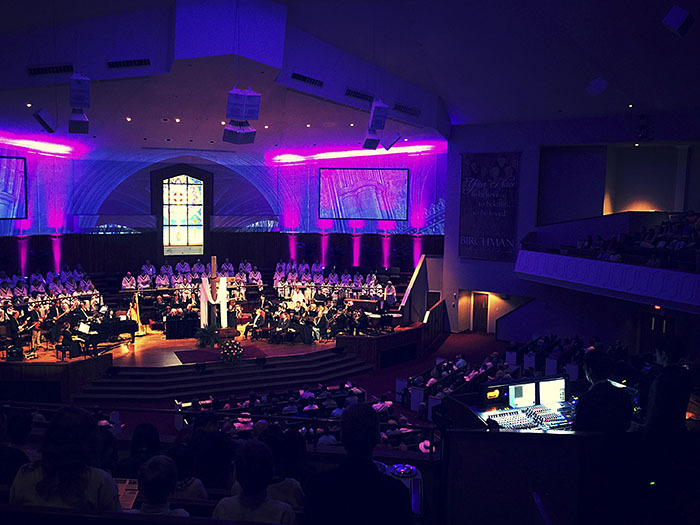 Living Sound provided four LSS SP220 series as floor wedge monitors on four separate mixes and two LSS WM2 coaxial wedge monitors for the grand piano and the conductor, as well as two LSS Pulce for the podium. The church performers love the great clarity and the naturally balanced sound of the new system. The church is so fascinated by the LSS loudspeakers that it’s planning to replace the current monitor loudspeakers with six LSS M30.2 cabinets for the choir, which has 200 members. “The floor monitors clarity is outstanding. We get a straight unprocessed audio feed of vocal and instrument sound, and we’ve found that we have to do almost nothing on the console to make it sound great for the monitor. 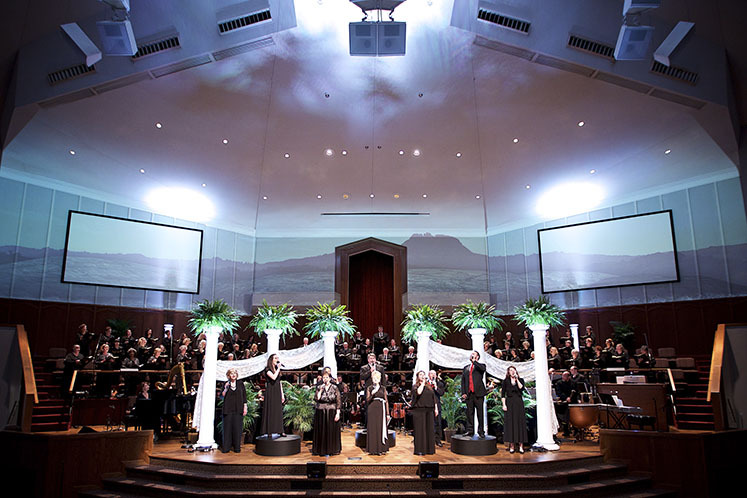 The clarity and presence of the LSS loudspeaker system create an optimum environment for worship by producing a sound that’s immersive, but never distracting,” said Daniel Salls, Worship Leader for Birchman Baptist Church. In addition, Living Sound strongly recommended the Pulce, an extremely compact three-inch loudspeaker, and models have the powerful and clear sound for podium monitoring. 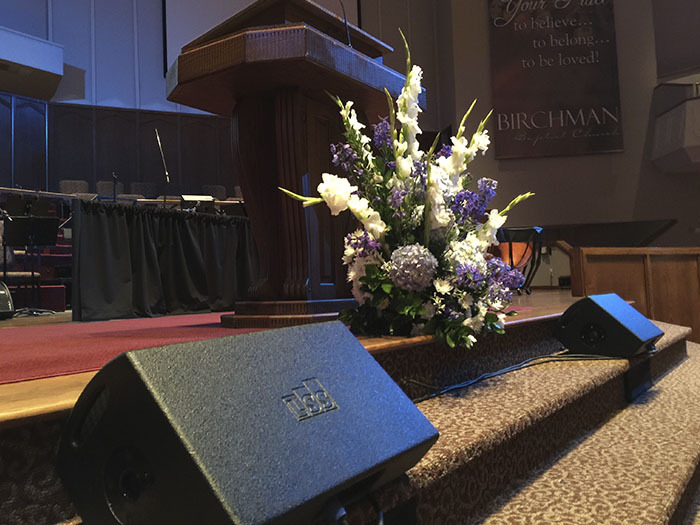 “With the Pulce speaker in place, the previous complaints about ‘raspy and moody’ sound and missing words in the speaking have disappeared,” concluded Collin Hain is Director of Communications at Birchman Baptist Church.